In his brilliant introduction on the Mishnah, Jacob Neusner asks: How do you read a book that does not identify its author, tell you where it comes from, or explain why it was written - a book without a preface? And how do you identify a book with neither a beginning nor end, lacking table of contents and title? The answer is you just begin and let the author of the book lead you by paying attention to the information that the author does give, to the signals that the writer sets out. As Neusner goes on to explain, the Mishnah portrays the world in a special way, in a kind of code that makes it a difficult work for the modern reader to understand. Without knowing how to decode the Mishnah, we may read its works without receiving its message. Neusner, one of the world's foremost Mishnaic scholars, demonstrated that the Mishnah's own internal logic and structure form a solid foundation on which to build an understanding of this vitally important Jewish work. 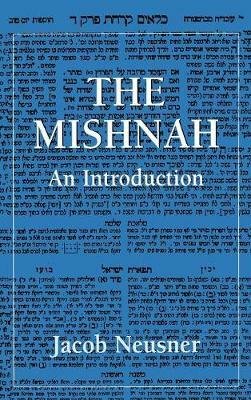 Using examples of how the Mishnah's language, logic, and discourse associate and categorize behaviors, events, and objects, Neusner opens the Mishnah to readers who would not otherwise be able to grasp its most fundamental concepts. Since the Mishnah forms the basis of both the Babylonian and the Palestinian Talmuds (which are, in Neusner's elegant terms, "the core curriculum of Judaism as a living religion"), study of the Mishnah is essential to an understanding of Judaism. Drawing on his own new translation of the Mishnah and displaying the enthusiastic dedication that has sparked a whole new body of Mishnaic research, Neusner allows readers with no previous background to join Jews who have studied, analyzed, and delighted in the wisdom of Mishnah for centuries. In addition to giving us a thorough exploration of the Mishnah's language, contents, organization, and inner logic, Neusner also provides us with a broad understanding of how it communicated its own world view - its vision of both the concrete an spiritual worlds. The Mishnah: An Introduction gives us a tour of this sacred Jewish text, shedding light on its many facets - from its view of life to its conception of God and His relation to our world.